The extensions wasn’t really complicated to implement. There was just some research necessary when I started the project, because this is my first Chrome extension. One major obstacle was to change the Document Object Model after the Twitter main page is completely loaded. Thats important, because the Twitter Trends and the Who to Follow box are loaded asynchronously. At this time, the Document Object Model is completely available. But the div elements for the trends and the follower suggestions are still missing. My solution depends on a background task and an inject task. Lets have a look at the background task first. * Listens on the complete event of a tab reload and executes the inject.js script. This code adds a new listener to the onUpdated event of every Chrome tab. If a website in a new or existing tab gets updated and after this update process completes, the code within the if statement gets executed. This injects and executes a new script in the context of the page inside the particular tab. This Inline.cs file does the whole magic. The code is listed below. * Searches for the 'module trends' class name, which is used for the Twitter trends div element. * If this div is found, it gets removed from the document DOM. First the two options are loaded so the user can decide if the Twitter Trends and/or the Who to Follow box are terminated or not. Next the DOM is searched by the getElementsByClassName method to find those special div elements. If they’re found and the option says the element should get removed, the DOM is manipulated. Since yesterday, the extension is listed in the Chrome Web Store. Just access it through this link and search for the extension called Twitter Trends Terminator. You should get a page like showing in image 1. 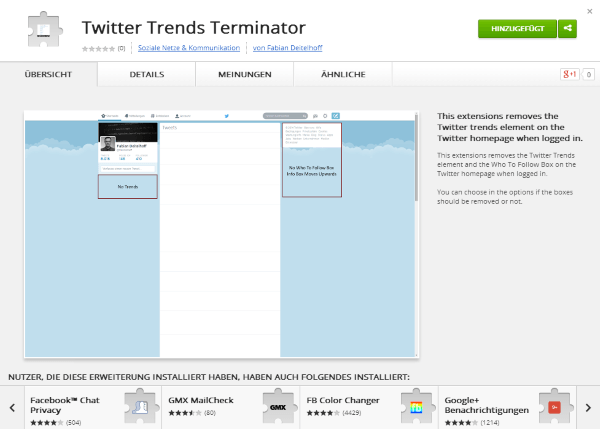 Image 1: The Twitter Trends Terminator in Google Chrome Web Store. Because I don’t know how long this extension is available in the store – maybe Twitter don’t like it 🙂 – you can download a Chrome package via the GitHub repository. After this extension is activated, the Twitter homepage just needs a single refresh. For example by hitting F5 in Chrome. Maybe this behavior gets updated someday, so that the page is refreshed automatically. 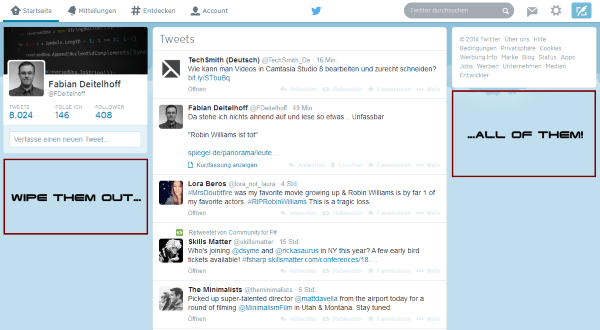 Image 2 contains a screenshot of the new Twitter homepage. In this case without the trends and the Who to Follow box. Image 2: The Twitter Trends Terminator in action. Those div elements gets removed from the page every time you refresh the page. And of course only on the Twitter homepage, because the extension only has access to the Twitter URL. After some time of research it was very easy to implement the removal of those two div elements. I’m not quite sure if I want to add more functionality. At this time I don’t think I’ll add much more. Maybe some improvements for the options and some other features that can change the Twitter page in another way. But the code demonstrates how its possible to change the DOM of any page. It’s easy to remove special tweets just to mention another example. Happy using and coding :). Don’t hesitate to provide some feedback or create an issue on the issue page of the repository if somethings not working.